DDP Yoga Reviews: Can You Really Lose 60 lbs? | Does it Work? 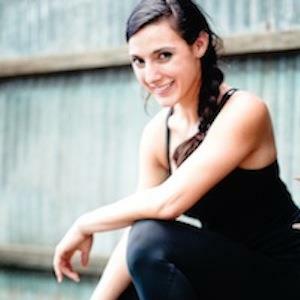 Do you consider Yoga to be too girly? Ex-pro wrestler Diamond Dallas Page would disagree, as he has created what is described by him as yoga for men. Does DDP Yoga work? Our team wrestled out a week long research for you. What is your experience with DDP Yoga? As we mentioned earlier, the guy behind this project used to be a wrestler, and he’s made good money out of this program. $1 million in the first week to be precise. It was featured on ABC’s Shark Tank, and although it didn’t raise any money, it did get plenty of attention. The real story behind his beginning? His ex-wife Kimberly showed him yoga exercises after he got injured. Seeing all the issues that guys have while practicing yoga, he came up with his very own routine and style. It is half yoga and half fitness, allowing you to set your own preferred pace. The program itself is considered to be a fair offer, which we will discuss further in the article. The real question – does this program really work? We heard a lot of stories about people losing anywhere from 30 to 60 pounds a year. This made us curious. Read this article that our team prepared for you, and you won’t have to spend hours researching. So if getting yoga classes from an ex-wrestler wasn’t weird enough, he also promises to give you rock hard abs and a shredded body. He promises workouts that should be possible even for people with bad knees, as he claims on twitter. On the spiritual side, the course promises “motivation to own your life.” While we do agree with the saying – healthy body healthy mind, we still weren’t quite sure if Yoga DDP delivers. We have to admit – it was really inspirational reading all the success stories and claims from people that have lost 60lbs or near in one year, like this lady. Our team takes claims like these seriously, so we felt the need to dig deeper and explore this service. Keep on reading to discover what we found. How does Yoga DDP work? The technique includes the plank position, a lot of flexing, stretching, and something called “dynamic resistance”. You use only the movement of your body to create resistance. The moves incorporated into his programs are very similar to fitness moves. The workouts last from 12 minutes up to an hour, depending on what you choose. Expect to spend around half an hour for most of them. The names of the programs include: Below the Belt, Diamond Cutter, and Fat burner. It seems that Mr. Page (a.k.a Diamond Dallas) has taken the traditional yoga moves, switched the names on some of them, and then slightly changed the moves. People that’ve tried traditional yoga might be a bit skeptical about this. The thing is, he has taken the spiritual aspect out, and added his own signature moves. It actually looked to us very similar to trademark sign that the singer Jay-z has been known for. After some further research our team discovered that there is actually quite a long list of famous people throwing the “roc” and Mr. Page is number 10 on that list. As it turns out Diamond Dallas actually sued Jay-z back in 2005, won and claimed ownership of the sign. The digital subscription will cost you $29.99 per month, or $39.99 for 3 months. DDP Yoga DVD’s Pack 1 includes the beginner, intermediate, and advanced programs. It is sold for $64.99. The next option is to get a COMBO pack (Pack 1 and 2 combined) which includes 4 DVD’s, poster, and a guide. This one will set you back $79.99, or $59.99 with a possible discount. Shipping can cost from $7 to $70 dollars, depending on your location and preferred time of arrival. Points – To motivate your mind and urge you to start collecting them by finishing different tasks. This approach hits the reward center in the brain and stimulates success. If you’re not happy with your alternative yoga program for any reason, you can return it in 30 days, no questions asked. You can now connect to DDP Yoga by getting it from the App Store or Google play. There is a limited offer at the moment that gives you the app for free, to use for 3 months. 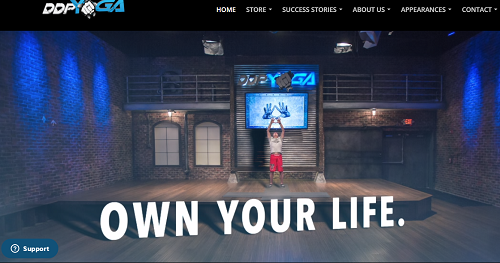 What you get is all the workouts, the older version of DDP Yoga, and live workouts added weekly. Does DDP Yoga build muscle? It tones the muscles more than it builds them, so most people won’t get the rock hard abs they were hoping for. Can it really be used efficiently by people with bad knees? You get the option to go easy on your body, and the exact explanation how is in his videos. As long as it’s not a serious injury you could benefit from moving around. What exercise equipment do I need to use? What you need is a DVD player to begin with, a yoga mat is preferable, some comfortable shoes and sweats, and plenty of water by your side. The ex-wrestler also recommends wearing a heart rate monitor, the one marketed on their official website. Can women do DDP Yoga? The maker of this program actually encourages women to practice it, since they can also benefit from the added flexibility. There is actually a program focused towards women called Yoga burn. Check it out. Where can I buy DDP Yoga from? At the moment, the program can only be purchased from their official website. Nowhere else. You’ll be able to find his book “Yoga for Regular Guys: The Best Damn Workout on the Planet!” on Amazon. $33.33 for paperback, and $9.99 for Kindle version. How many calories does DDP yoga burn? People report burning over 300 calories during the Fat Burner routine. Others say 150 per workout. The real answer is, you’ll need to invest some time and effort to start seeing results. It won’t happen overnight. Is the heart rate monitor helpful? We recommend getting it. You’ll know how many calories you’ve burned, and make a better informed decision if you should work harder or work less. This program is all about the attitude you approach it with, according to most people. If you decide to give it your all and really follow the program daily, you are sure to see results. Another thing to have in mind is, you won’t see real results until you start following the diet plan as well. This is why people actually lose so much weight. What most people mind is the founders “in your face” attitude. A lot of them get uncomfortable around him and decide not to follow through on the workouts. Another thing is, having a person next to you to tell you if you’re doing the right thing is crucial, especially if you’re injured. So have that in mind. The programs give people motivation to get off the couch and start exercising. Works to increase muscle flexibility and also gets you toned. Provides decent cardio in your home. 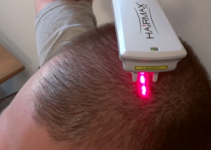 Easy to use, even for people with slight injuries. The wrestler shows you techniques to stretch and work out without hurting yourself. Page’s attitude – he can be a bit much for some people. He screams and says irritating things in order to push you further. It doesn’t work on some people, most likely individuals that have an issue with respecting authority. Doesn’t really help in building muscle. When we first saw the official website, it looked a bit cheesy and over the top. Very similar in its presentation to most services that were competing in Shark Tank. The truth is, it does work for a lot of people. First of all, it motivates them to get off the couch and start caring about their health. Some even take it further and follow the nutrition advice. To us it looked like an interactive game show, where you’re the viewer and contestant at the same time. It is quite entertaining, if you’re into working out in this manner. The maker of this program has spent time and effort creating it. It might look corny at first, but if you decide to give it a chance, you’ll notice the workouts are done in a thoughtful manner. They have a step by step routine that builds up to a real workout. People have really lost up to 60 lbs with this program, but keep in mind they also took care of their proper diet. For a year. Does it actually work? Many people will swear it does. Yet some remain drastically skeptical and wouldn’t recommend it to other people. Did it work for you? We’re hoping to find out in the comment section below. 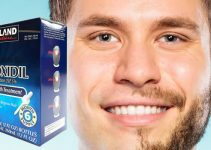 Does Rogaine (Minoxidil) Work For Beards And Facial Hair? 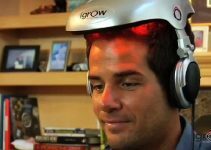 iGrow Laser Reviews: Does It Work?